Did former chairman and chief executive Carly Fiorina play a role in the spying scandal that tarnished the once sterling reputation of Hewlett-Packard Corporation? Revelations in 2006 that company investigators, using private and confidential information provided by HP, had posed as board members and journalists to obtain private phone records and e-mails created a public uproar. HP officials were hauled before Congress and California filed criminal charges against several company officials, including former Chairman Patricia Dunn. There’s no evidence to suggest that Fiorina knew or condoned this practice, known as “pretexting” (aka lying). The HP board fired Fiorina more than a year before the scandal broke. Fiorina’s own phone records were obtained by HP investigators after she had left the company. But that’s not the complete story. A look at the record shows that HP’s leak investigations began under Fiorina, who is now running as a Republican to unseat U.S. Senator Barbara Boxer, and employed the same security firm who worked for HP during Fiorina’s entire tenure as chairman. Furthermore, the board member Fiorina suspected as the source of the leak became the focus of the investigation. 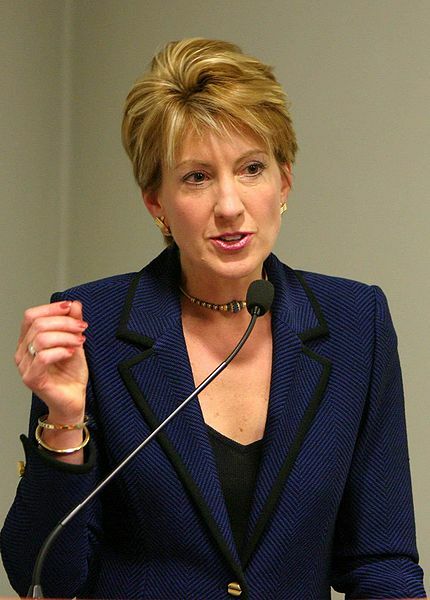 In January 2005, Fiorina approached attorney Larry Sonsini, the board’s outside lawyer, for advice. Fiorina was extremely upset by a Wall Street Journal story that detailed sensitive internal board discussions about Fiorina’s performance. MS. DUNN: The first inquiry into leaks actually began under the administration of Carly Fiorina, who was Chairman and CEO until February of 2005. She asked Mr. Sonsini to talk with every director one-on-one about the functioning of the Board, and to seek the confession of whoever the person or persons were that were leaking this confidential information, as well as to reassert their commitment to confidentiality going forward. The reason why the Board, by the time I got involved, was so deeply concerned was because they knew that no one had come forward to admit their culpability. After Fiorina’s ouster, seven of nine HP board members saw the case of the boardroom leak as “unfinished business” by a majority of board members, Patricia Dunn, who succeeded Fiorina as chairman testified to Congress. Dunn enlisted the services of Security Outsourcing Solutions, a little-known private detective firm in Needham, Mass. SOS had done work for HP during Fiorina’s entire tenure as chairman. About half the company’s work came from HP. Did any of these assignments involved pretexting? Fred Adler, head of IT security investigations at HP, testified that one of the company’s investigators involved in the pretexting scandal had complained to his manager on previous occasions about the practice. In her 2006 book, Tough Choices, Fiorina doesn’t mention pretexting or whether she ordered spying on journalists and board members. She did write in Tough Choices that she remained deeply suspicious of another board member, George Keyworth, who was not the source for the Journal article. A 20-year HP board veteran, Keyworth was a driving force behind the board’s divisive efforts to remove Fiorina, who had aggressively championed a bitterly contested $19 billion merger with Compaq in 2002 that led to a proxy fight, court battle, wrenching layoffs, some cost savings but little in the way of profits. Keyworth subsequently became a target of the pretexting investigation in a move that likely reflected the lingering bitterness over Fiorina’s ouster.